Dr. Mark Mathambe, author of his autobiography Kaffir Boy: The True Story of a Black Youth’s Coming of Age in Apartheid South Africa, shared his experiences of growing up under Apartheid with the school during yesterday’s 25th annual Book Day. Similar to the Book Day selection, Born a Crime by Trevor Noah, Kaffir Boy tells a first-hand narrative of the racial oppression during Apartheid. “[The book] describes the struggles, dreams, and hopes of a boy growing up, and the system of oppression that has been compared, rightfully so, to Nazism,” Mathabane said. Kaffir Boy encompasses several larger themes related to ubuntu, the South African word for “common humanity,” which Mathabane addressed in his talk. “Themes like the importance of education, that empathy is the key to racial healing, and the restoration of justice are all a part of my story,” he said. Mathabane shared vivid encounters and anecdotes from his life as a young child during the apartheid. “I describe these scenes because all of you probably woke up this morning, you saw your parents, had breakfast, and now you’re here. For children in my generation, that normalcy is what we dreamed of having…the ability to have that normalcy is what feeds the ability to have human connections,” he said. Okpara’s father, who is from Nigeria, grew up in similar conditions of poverty as those described by Mathabane, and it made her realize that her parents had to work so hard to make her and her siblings’ lives better, she said. 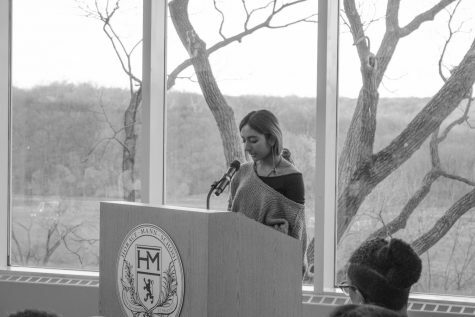 Following the opening assembly, students and faculty attended four hour-long sessions, during which members of the community and guest speakers hosted workshops related to prevalent themes in Born A Crime. Topics included Apartheid, biracial identity, multilingualism, narrative writing, and hip-hop. “Apartheid was a system like Nazism and came very close to what Jim Crow was. Through the workshops, students can begin to understand the impact that [apartheid] had on Black South Africans,” Dr. Mathabane said. David Maydan (9) gave a presentation in World Language teacher Dr. Cornelie Ladd’s workshop on language and migration, where he drew connections between scenes in Born a Crime and real-world concepts on language. Maydan’s presentation also discussed trust and reliability, drawing inspiration from a scene from Noah’s memoir where trust was closely associated with language. 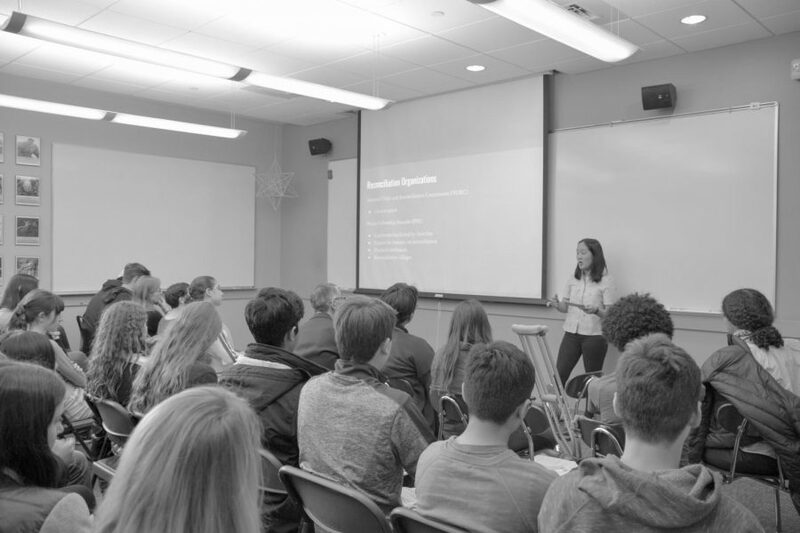 During Session I, Claire Yoo (12) hosted a workshop on Reconciliation and Responsibility in Post-Genocide Rwanda, where she drew parallels between the end of the apartheid in South Africa and the genocide in Rwanda, she said. “I feel personally connected to this year’s theme largely because of my experience taking CRAE [Comparative Race and Ethnicity] this year, because deeply studying not just apartheid and South African history, but also just the influence of race and ethnicity on history in general, has really changed my outlook,” Yoo said. Theatre teachers Ben Posner and Haila VanHentenryck co-hosted a unique four-session theatre workshop that ran the full day. The larger workshop consisted of two workshops during Sessions I and II on creative playwriting around ideas from Born a Crime and two workshops during Sessions III and IV that were about staging the writing and figuring out creative ways to get it up on its feet, Posner said. “The workshop was designed to use Born a Crime as a jumping off point and to create something original, exciting, and dramatic. We were more focused on the process that theatre artists use to create work than the final performance of that work,” VanHentenryck said. Not only do students and teachers get to explore different themes outside of the day-to-day curriculum, but they also get to meet new people who they may have never encountered in their regular coursework, Posner said. 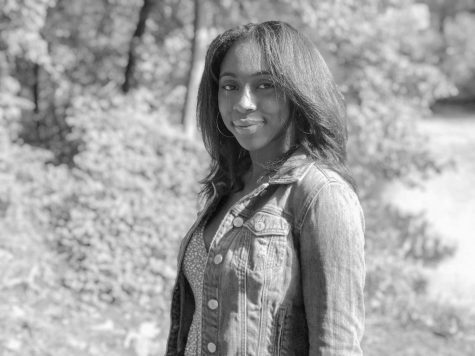 “My favorite part of Book Day is meeting students that I don’t usually interact with, and seeing them in a different setting, especially people who don’t come through the performance program.